"Everyone I have encountered at Haider Family Dentistry is warm, friendly and attentive to their clients. I have already recommended several individuals into their care." 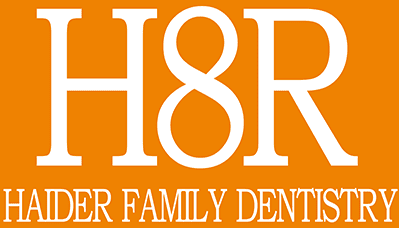 "If you are looking for a great dentist, go see Dr. Haider! He’s very skilled and a great listener. He took wonderful care of my 3 boys as well." "Great dentist, so skilled, he is able to complete my repairs with expertise rather than a mouth full of tools!!! Listened to all my concerns and put me at ease." "Excellent job, especially my dental hygienist." "The entire office staff was welcoming, professional, and made the experience of going to the dentist enjoyable." "Everyone is friendly, professional and highly competent. I am very happy with my new dentist." "I received a whole package of excellent service from Haider Family Dentistry. I am extremely happy that my teeth look beautiful again after Dr.Haider’s fixings."